Well thank goodness we made it through Storm Ophelia unscathed. Our sympathies are with the families that suffered tragedy with the storm and also to those struggling to return to normality in the aftermath. Storm Ophelia was a good focus point from which to address climate issues, weather systems and our environment with the children and there were some great discussions had in the classrooms on our return to school. A reminder that our school will be closing for midterm break next Friday, 27th October @ 2.10 p.m. and will reopen on Monday, 6th November @ 8.30 a.m. The committee will be busy continuing to work on the school plan for Travel as well as continuing with our recycling and energy and water plan. This Friday as part of the Green School competition for the Best Halloween Costume there will be recyclable materials outside the front gate with Miss Reynolds. It is a good idea to start thinking about your costumes for Halloween over the weekend and see what recyclable materials you may have in your home. Please make a recycled Halloween costume and wear it on Friday 27th October, the day the whole school is invited to dress up! Thank you from everyone on the committee! 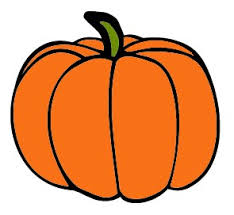 The Halloween raffle tickets will go on sale from next Monday 23rd October at the School Gate. A big hit every year! If you're not in ...!!! The draw will be on Friday, 27th October. Creative stalls offering the finest handmade Arts & Crafts. Professional standards goods at Market Prices. RMDS Café open for refreshments!!! A great day out for all the family! Please put it on the diary. Lots more on this year - we will be looking for volunteers shortly!!!! Thanks as always for our support! Dance - Class tomorrow (Friday), 2.15-3.15 p.m.
Class photos are now available to purchase. Photos can be viewed on the principal’s office window. Cost €15 – If interested please fill in a form and leave the cash/cheque in the office or pay by bank transfer. Cheques payable to MOS Photography. All orders must be received by Wednesday, 25th October at the latest.